This is a 2009 Visconti R.M.S. Titanic LE #44/1912 Plunger-fill in Blue & Bronze (Turquoise). Visualated barrel. GFT. 2-tone, 18K broad nib. New-old-stock. Mint in box with papers and outer box. Item #54 in Catalog #85. This is a 1995 Visconti Wall Street LE #042/4000 Plunger (Power) fill in Green Laminated. Sterling silver cap band imprinted “Wall Street.”. 2-tone, 18K broad nib. New-old-stock. Mint in box with papers, ink bottle and outer box. UPDATE: SOLD. Item #52 in Catalog #85. This is a 1995 Visconti Manhattan Special Edition of 7000 Plunger (Vacuum) Power-fill in Emerald Green. GPT, including the spring-clip and the die-cut cap band. 18K nib (medium). New-old-stock. Mint in original box with outer sleeve. Item #138 in Catalog #84. We have previously written about the Waterman 20S – a flask disguised as a pen. See the original post here! 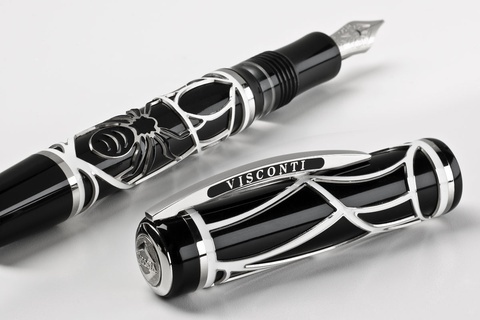 Visconti has just launched the Speakeasy – a modern take of that prohibition era pen, representing the Speakeasy establishments in the US. The back of the pen harbors a sanitized compartment for the beverage of your choice. This pen, like many other Visconti pens, is quite large. 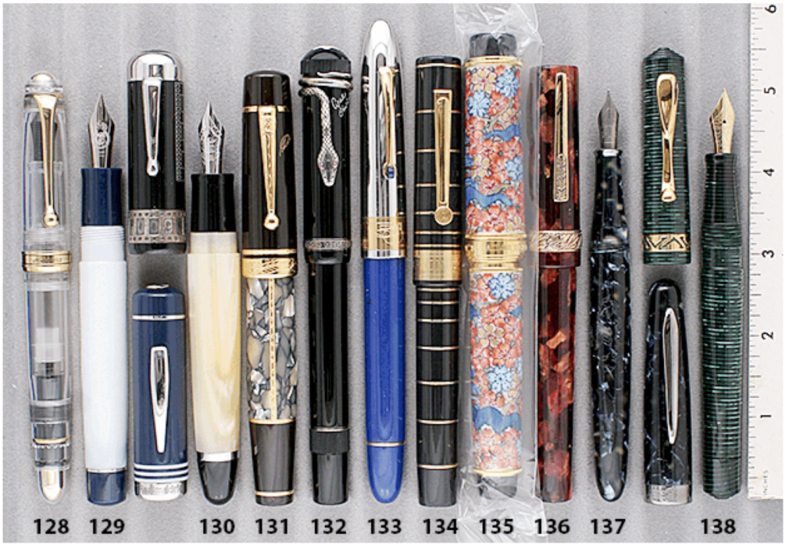 Waterman’s licensed Italian distributor used to add stunning overlays to some Waterman pens. In this case, a 1920s Safety Pen. 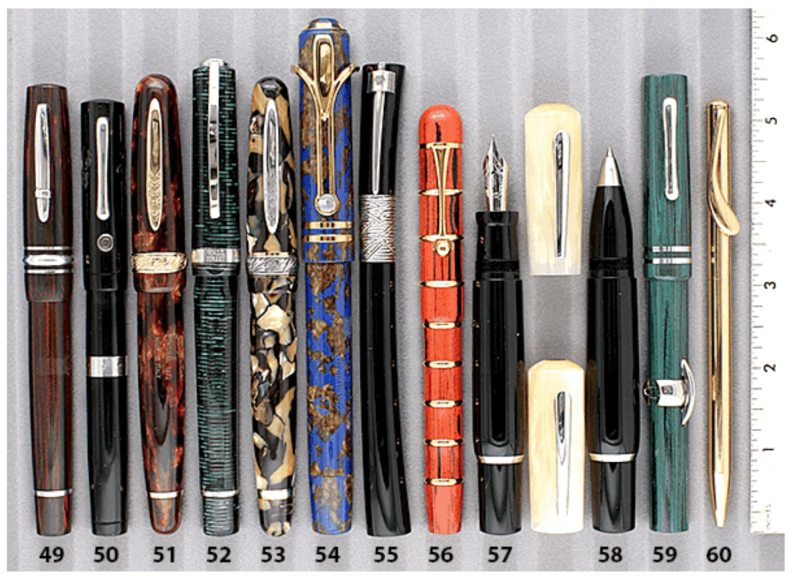 Waterman procured such unique pieces by sending pens to major jewelry houses and allowing the artisans carte blanche in creating overlays.